There are a lot of reasons why the various KLIX coffee machines are as popular across the UK as they are. The amazing range of products, from hot and cold drinks to soups, all from Britain’s favourite brands, is a high spot; the purity of the water they use after it’s been through the BRITA filter is another major benefit. The KLIX in-cup system allows for a total preservation of flavour, so that whenever you hit the button for your hot drink of choice, you can be confident that you’ll be getting the absolute maximum flavour and aroma in your cup. But there’s one upside that doesn’t get talked about nearly enough – and it also comes from the in-cup system. 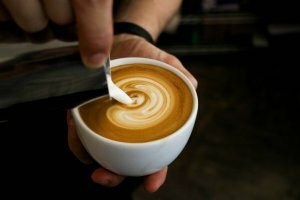 If there’s a downside to having a hot drinks machine in your workplace, it’s that your team have to take time out regularly to clean the machine, check the spill tray, and make sure that there’s no build-up of coffee in the nozzle that might contaminate your tea – or, far worse, soup flavour messing with your coffee. But the in-cup design means that the drink is made in the cup, the flavour comes from the cup – that nothing but pure filtered water runs in the machine itself. This doesn’t just cut clean-up in half – it practically does away with it entirely. Going with a Klix machine rather than something else really opens up your options – and cuts down on busywork.